Who's in it? Where to watch? How long will it be? Here's everything we know so far about the fourth live-action Stargate series. Now that Stargate Origins has premiered, additional details regarding production and story will appear on pages in the episode guide. This page documents the info we knew about the series prior to its premiere. Principal photography began on October 14, 2017, with a 21-day shoot. 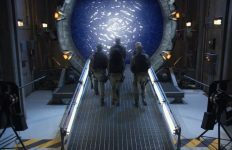 Unlike its predecessors Stargate SG-1, Stargate Atlantis, and Stargate Universe, Origins will not air on broadcast or cable television. It will be available on demand exclusively at MGM’s new digital streaming service, Stargate Command. Origins premiered on Stargate Command on Thursday, February 15. 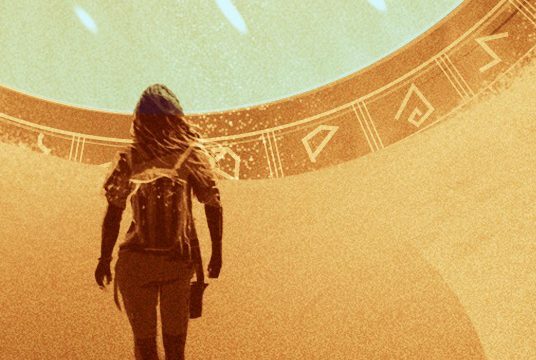 Here’s a primer with everything we know about Stargate Origins so far! The first season of Stargate Origins tells a previously unknown story from the life of young Catherine Langford, who late in her life would recruit Daniel Jackson into the fledgling Stargate research program. “Young Catherine embarks on an unexpected adventure to unlock the mystery of what lies beyond the Stargate in order to save Earth from unimaginable darkness,” the studio says. The story is set in Egypt in 1939 — just before the outbreak of World War II, when Catherine is a young woman assisting her father in his work with the gate. During her time in Egypt she meets characters including Captain James Beal (Philip Alexander), a British officer, and Wasif (Shvan Aladdin). We’ve seen snapshots from Catherine’s history, from childhood in the film to her scientific insight in 1945 (“The Torment of Tantalus”), from being kept away from the Stargate in the 1960s (“1969”) to her reunion with Ernest Littlefield after five decades apart. But there’s a lot of Catherine’s story we do not know. What did she actually do for a living? Was she involved in shipping the gate across the ocean on board the Achilles at the outbreak of World War II (Stargate: Continuum)? Did she ever marry? What brought Daniel to her attention? In 1939, Professor Paul Langford and his daughter Catherine are still grappling with the mysteries of the ancient relic they discovered in the Egyptian desert more than ten years ago. With war looming in Europe and funding running out, these brilliant minds are approaching their lowest ebb. Little do they know, answers are about to present themselves in a dangerous form, when the Nazi Occultist Dr. Wilhelm Brücke approaches their facility with a sinister motive. Enlisting the help of two young soldiers, Catherine must use all of her wit and nous as she and her new allies embark on an adventure into the unknown to rescue her father, and save the Earth from an unimaginable darkness. Casting was underway by August of 2017. 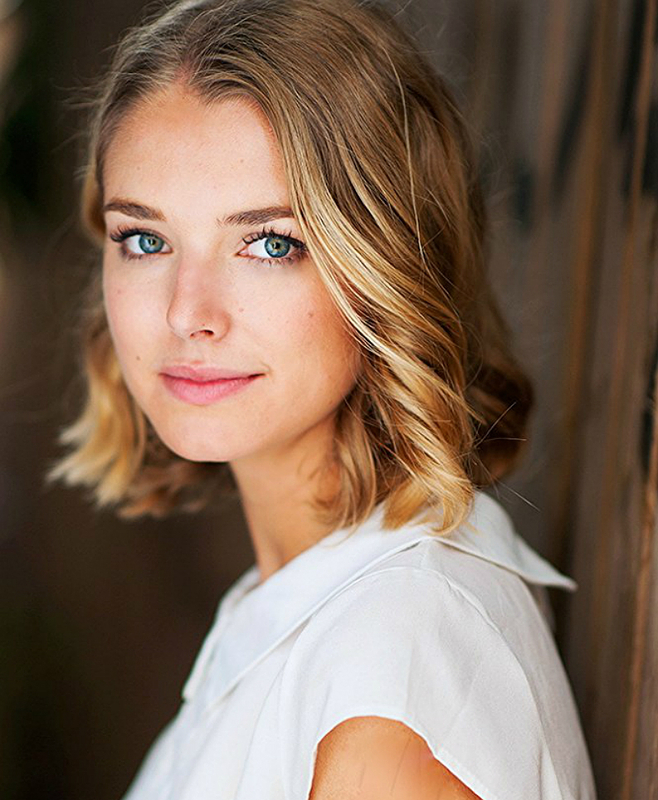 MGM announced the project’s cast on October 11, with 21-year-old Australian actress Ellie Gall playing Catherine. Recurring Stargate Atlantis guest star Connor Trinneer (“Michael”) will play her father, Professor Langford. Filming began on October 14. The supporting cast includes Salome Azizi (Ray Donovan), Philip Alexander, Aylam Orian (Shooter), Michelle Jubilee Gonzalez (Jane the Virgin), Daniel Rashid (Criminal Minds: Beyond Borders), Sarah Navratil (Pretty Little Liars), Shvan Aladdin (#TheAssignment), Tonatiuh Elizarraraz (Jane the Virgin), Derek Chariton (The American West), Justin Michael Terry (Wait Crimes), and Lincoln Werner Hoppe (Touched by an Angel). Alexander plays Captain Beal in a key role, described as a “plucky” British officer. Beal is a bit frustrated to be stationed away from where the action is, according to the actor, and is driven by a desire to protect Catherine. Aladdin is Wasif, a local Egyptian. Orian plays the villainous Dr. Wilhelm Brücke, a Nazi officer and occultist. Entertainment studio New Form Digital is producing the series along with MGM’s own recently formed Digital Group. Though none of the original show creators are involved, MGM says that Origins will respect 17 seasons of established Stargate canon. 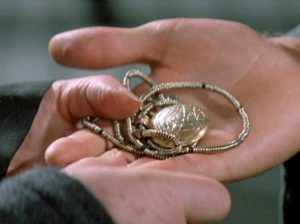 Production made use of a resident expert on Stargate’s mythology to make sure they were not needlessly changing details. This is a significant reversal from what we were going to get: a rebooted film franchise from original Stargate movie-makers Dean Devlin and Roland Emmerich, which was going to set aside the three television series. Because SGO is set decades before Stargate SG-1, the writers might have an easier time fitting their story into the existing mythology. One outstanding question: Will Catherine see the Stargate activate? Will she herself actually go through the gate? And if so why doesn’t she tell anyone (or perhaps remember) later in her life? SGO has been announced as what’s called, in the entertainment biz, a “mid-form” series. It’s not a standard long-form television show, where episodes run between 42 and 60 minutes. And it’s not technically a short-form project, which is often the label given to Internet series with “webisodes” lasting 3 to 5 minutes each. Origins will be comprised of 10 episodes each running about 10 minutes in length. All together that’s about the length of a TV movie — and director Mercedes Bryce Morgan deliberately followed more of a movie structure when filming. Stargate Origins will be available for streaming on demand at Stargate Command, MGM’s new device-neutral digital platform. 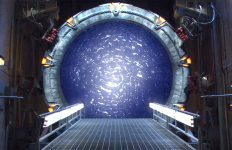 It’s not merely a Web site (though it will live online at StargateCommand.co), but a platform you can access with any device to watch Origins or any of the franchise’s more than 350 episodes and movies. 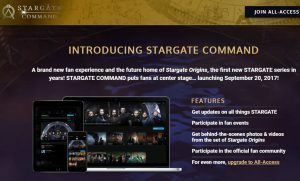 Stargate Command will also feature new content and goodies from MGM’s 20-year archives, from featurettes previously released on DVD to new and never-before-seen material from SG-1, Atlantis, and SGU. Subscribers will also get access to the Origins writer’s room, with insights on the new show during production. And free content will include news, articles, an online community, and interactive games, polls, etc. So there’s lot more here than the new show. Visitors worldwide will be able to preview the first TWO THREE installments for free. “All-Access” subscribers will have first access to the whole show, with new installments released over the course of several weeks. A subscription to Stargate Command All-Access is currently $20 USD. MGM does say that access to some unspecified “premium content” will expire May 15, 2018, though it is uncertain whether that includes Origins itself. All-Access will also offer digital streaming for all three previous Stargate shows and all three movies. 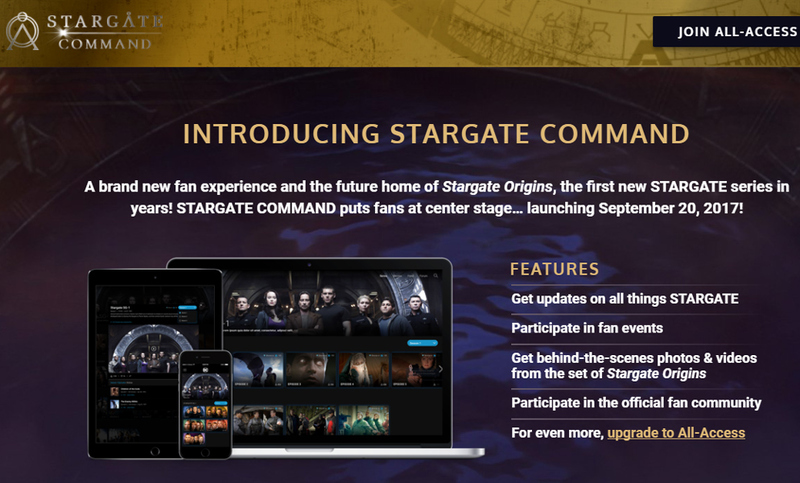 Pre-launch sign-ups for Stargate Command were limited to U.S. residents; after the service’s September 20 launch fans were able to subscribe to All-Access also in Canada, the United Kingdom, Germany, Australia, and New Zealand — specifically using the mobile app available in the local app stores. Fans in other countries can access the free portions of the service (including the first three episodes of Stargate Origins when it arrives), but for the time being will not have access to the rest of the show. Of course it depends on the relative success of the show whether or not MGM will move ahead with a second season of Stargate Origins — and what form that could take. At this early stage it seems that the sky is the limit, from a second season in the same short format to a full, long-form series. Because the show is not on broadcast anywhere the measurement is likely in site traffic to Stargate Command, in paid subscriptions to the Stargate Command platform, and of course in how much the episodes are streamed. 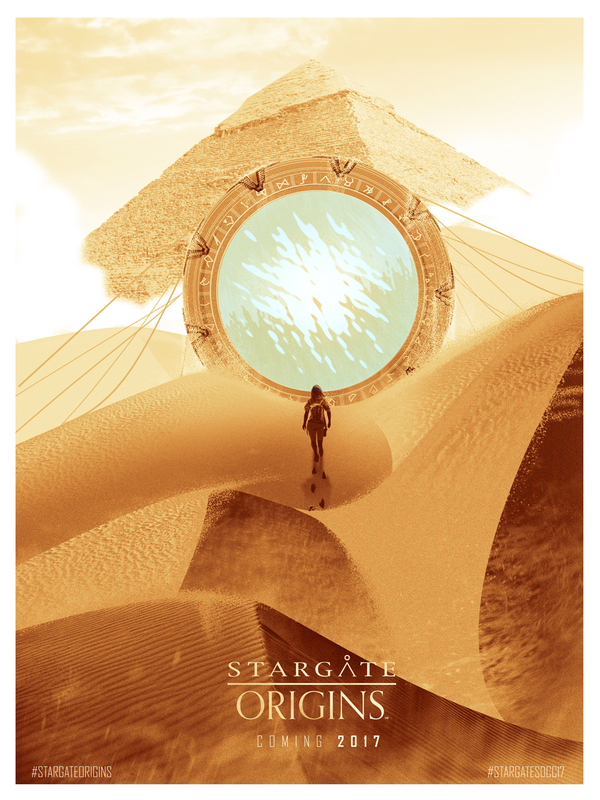 Could Stargate Origins Become An Anthology Series? It does seem to be the case that Catherine’s story — at least at this period of her life — will make for a self-contained first season of the show. A second season under the Stargate Origins banner could be about something else entirely, set anywhere in the Stargate universe and at any point in time. A season-long story about the Alterans? Or the Lanteans? The Goa’uld System Lords? How about a Bra’tac-centric story? The format of Origins makes for a whole lot of flexibility for telling Stargate stories. The fact that it is on MGM’s own digital platform means that the show isn’t beholden to a network, doesn’t have to fit the 1-hour time block of broadcast TV, and so needn’t be as expensive to produce. Catherine’s story could be just the beginning of an ongoing anthology of Stargate tales. The best thing to do is to subscribe and to make sure MGM knows what you want to see in Stargate’s future. Is anyone else as underwhelmed by this as I am? I’d love to see a new Stargate series, but this just doesn’t seem that exciting. Better than ignoring the last 17 years altogether. what my son was in England that whole year. I’m glad to hear that folks who can’t sign up for Stargate Command (like me living in Ireland), will get to see at least the first two episodes of Stargate Origin. But MGM really do need to give more info for us fans who are not listed in the short list of countries the platform is open to. Hello Paul_Boland, I agree. I live in Czech Republic and Stargate is my private religion. I was very excited about this news, but now, after finishing reading, I am crying. Why I can not have account in MGM online channel? USA always sais that there is not place for racism, so what is the reason to not have this option in online world where are no bounderies as bwin and other companies show to us? I can pay via PayPal, Upay etc., so give me this option or people like me have to go back to torrents sites.